Edging a garden provides the finishing touch to a landscape. Edging can take the form of digging a slanted trench to delineate between the lawn area and the garden or creating a permanent edge using brick, rock or wood. Edging helps keep grass from encroaching on garden areas and also keeps mulch in the garden. Choosing to edge your garden areas provides a pleasing aesthetic addition to your home landscape, especially when you repeat the usage of materials among different gardens for unity. 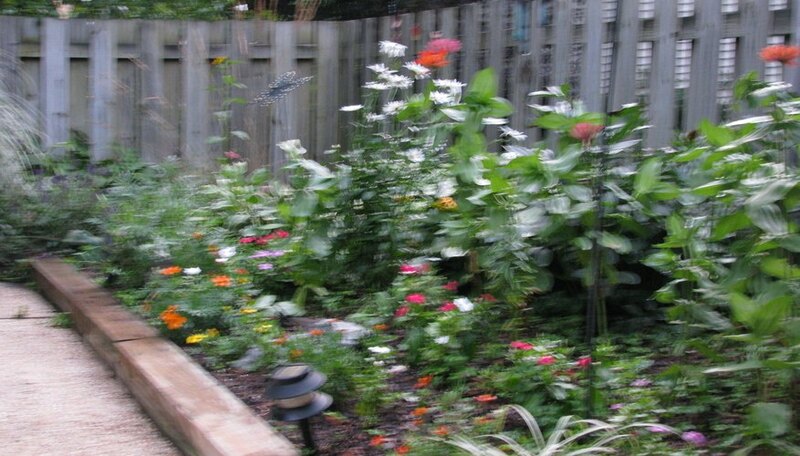 Begin at an area about 1 to 2 feet from the edge of the border plants to leave room for future plant growth. Place the shovel at a 20-degree angle to the ground. Press down with the shovel, scooping out the existing dirt or grass. Break up the dirt clod in the interior part of the garden. Move the shovel to the left or right and repeat the angled digging movement. This digging motion creates an angled trench along the perimeter of the garden. Break up all dirt clods in the garden and smooth mulch down into the trench for a finishing look. Re-dig this edge on a yearly basis to keep the cut looking sharp and clean. Dig a trench along the garden edge using the shovel depending on the height of your edging material. Landscaping bricks or edging blocks require a trench of about 1 to 2 inches in depth for stability when stacking the bricks or blocks. Use the hoe to smooth the soil at the bottom of the trench. Aim to create a uniform depth along the entire length of the border trench. Place the level into the trench to check for equal depth through the edging area. Creating the most level surface possible will help the entire length of border to settle in a uniform manner. Add or reduce the amount of dirt in the trench as needed. Place the edging stones, blocks or wood into the trench. Wiggle each piece to the left and right for a snug fit. This technique works for any kind of border material from river rock to wood blocks. Fill in any exposed areas along the rim of the trench with loose soil. Draw any mulch flush to the back of the edging stones.